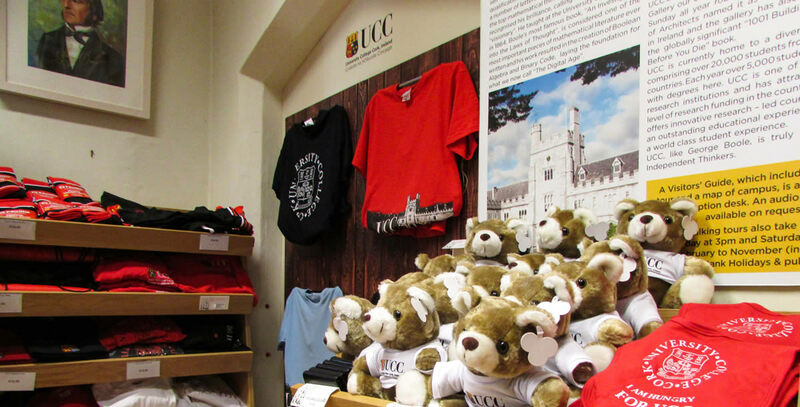 Our relationship with UCC goes back over 10 years, during which time we have been involved in many different capacities, working both with the Media & Communications department of the University and individual departments. At University level, this work has included the design and implementation of everything from publications to permanent signage. 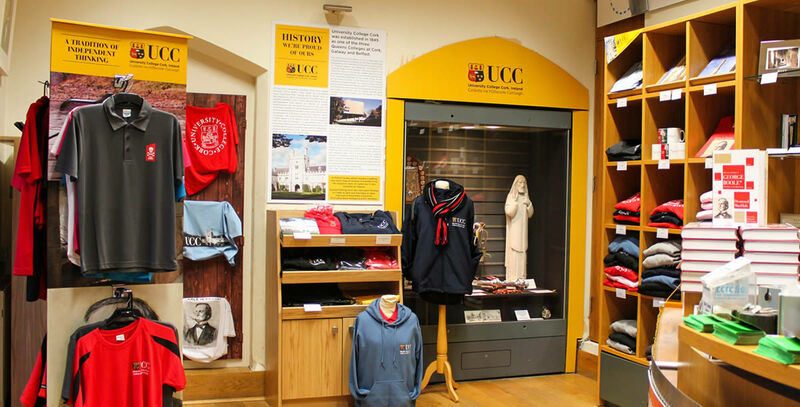 One case which encompasses a broad variety of activity is our ongoing support of the UCC Visitors’ Centre. Having been asked at the outset to work on the branding of the centre and the design of the space itself, in the heart of the historic Quad, we continue to look after their communication needs. We support them with everything from the development of communication material to the extension of their branded merchandise range.